We have updated our website for the latest modern browsers. Your browser isnt modern and safe enough to allow on this website. To refresh your browser press control-r to refresh your browser cache. with flexible and efficient financing solutions at your service! Forkliftcenter BV is a brand-independent company and one of the leading companies for sales and service of forklift trucks & port equipment such as reachstackers, container handlers, tow tractors and low bed roll trailers. At all times around 300 new and refurbished used forklift trucks and port equipment are in stock, available for sale or rental. 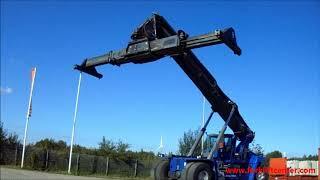 We have a professional in-house team of technicians who have been extensively trained to deliver your forklift truck or port equipment in top condition. We believe that excellent quality is the foundation for customer satisfaction and therefore key to our business. 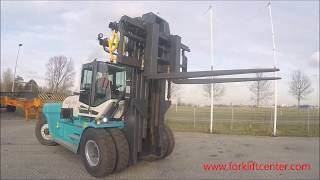 Only a 15 minute drive from Schiphol Airport Amsterdam and located near the Port of Amsterdam, we can deliver your forklift or port equipment quickly and worldwide. Forkliftcenter believes that to be a global player, you have to act locally. Forkliftcenter already has branches in the Netherlands, Australia, Dubai and Panamá and is still expanding its business worldwide. From these offices Forkliftcenter builds up personal relationships with its customers and provides them -besides the delivery of forklift trucks and port equipment- with all needed assistance when it comes to parts, transport, insurance, customs clearance and other services. 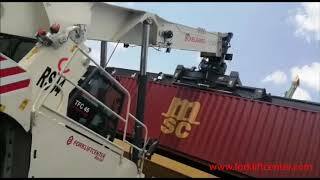 Customized Konecranes SMV 28-1200C Fork carriage according to the customer’s needs. Forkliftcenter has enlarge the original 28 ton SMV Carriage to a forks' opening range of complete close to a maximum opening range of 4.000mm!! 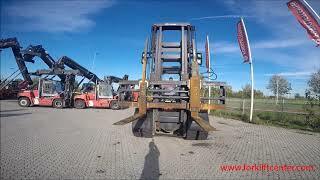 Please contact our Sales Team for customized Forkliftcenter Special Solutions.